Laketec is an Information Technology company Headquartered in North East Ohio. We are a team of 35 caring and capable individuals who hold customer satisfaction as our number one priority. We have built our reputation on 5 Core Values that are representative of our people, our products, and our processes. We serve a wide variety of customers in the industries to mentioned to the right. Explore more by selecting one. Manufacturing – Manufacturers and distributors are facing ever increasing pressures to be more efficient and to increase the speed of production and delivery. Properly deployed technology solutions provide our customers with new ways to accomplish these goals. Laketec has been supporting customers in the manufacturing space since the day we opened our doors in 1989. Customers like Applied Industrial Technologies, East Manufacturing, and The Kennedy Group have given us a unique understanding of the requirements in the industry. Thoughtful design is the most critical component to consider for a manufacturer. Large warehouses can create unique challenges when designing a wireless infrastructure which can be a critical business need for tow motor operators using scanners. Older wired infrastructure is also a common issue which can be overcome in a number of ways without incurring the cost of new cable plant. Retail – The retail industry is highly consumer focused and is constantly in need of ways to use technology to drive out operational costs while improving the experience of the end customer. For a retail store, downtime means lost sales and a poor customer experience. As new technologies emerge, new opportunities are created to capture consumer attention and drive behavior. Laketec supports over 1,000 locations across the US, Mexico, and Canada. Our retail customers have worked with us to develop technology footprints that are repeatable. This design philosophy reduces costs while speeding up deployment timelines. Wireless, switching, security, phones, POS all scheduled and deployed and managed by a single vendor. Small – Small businesses have big decisions to make, especially when it comes to spending a limited IT budget in the most strategic ways. Laketec has the expertise to assess and design an IT infrastructure that will address your current, and future, business needs. Once deployed, we are here to support you and your organization for years to come. We are here to be your IT partner. Helping a customer grow their business through strategic technology solutions is a top motivator for the Laketec team. We take pride in our business the same way you take pride in yours. We look forward to the opportunity to be a part of your business plan. Why Partner with Laketec? Single source for all IT needs Local expertise We teach technology 24×7 support available Web Portal for ticket status Flexible support options The Laketec Way Our approach to small business solutions is to ensure that we are taking an all-encompassing look at where you stand today from a business and a network perspective. We seek to understand your goals, budget, and anticipated growth; then work backwards to design the most strategic investment for your company. Voice – Custom communications solutions “Voice” is no longer just a phone system. It’s a communication platform that integrates with the rest of your IT infrastructure to allow for unprecedented levels of collaboration. The capabilities of these deployments are changing how people do business by allowing seamless remote work, branch architecture, and CRM integrations which create opportunities to improve customer service. Laketec has been a leading provider of voice implementation services in northeast Ohio since 1989. Although we have evolved into a full service IT company, voice remains a critical component of our core business. We support some of the largest deployments in Cleveland and are able to use that experience to support companies of all sizes and industry. Whether you’re considering an upgrade, a hosted deployment, or just want to learn more about what’s possible, Laketec is ready to bring our extensive experience to the table to serve you. Call Recording – Tracking, Training, Compliance The ability to record and archive calls is a critical tool for organizations focused on customer service or who are subject to compliance regulations. Whether you have 5 agents or 1,000, Laketec is ready to design, install, and support a call recording solution that meets your requirements. Record all calls or just a sampling. Our platforms provide the flexibility and scalability to allow you meet any and all regulatory mandates or to meet your quality assurance targets. Cradle to grave recording ensures that you don’t miss a word even through hold times and transfers. Take call recording a step further with screen recordings of an agent’s simultaneous communication via social media, text, and web chat. Key Benefits: Customer Service Improvement Quality Control Compliance: PCI, HIPPA, Sarbanes and more Archive Training Cradle to Grave Simultaneous Screen Recording If you’re taking the time to record, be sure you’re also measuring your call volume with Accounting and Reporting. Mobility – In the office or on the road. Stay connected In the office or on the road, your customers and co-workers depend on you to have full access to your communication tools at all times. Mobile apps for your cell, tablet, or laptop make staying connected easy, when properly deployed. Pick up a work call on your cell, transfer the call to a teammate, join a video conference from a taxi while collaborating on a customer presentation. These productivity boosting features are the result of properly designed and deployed communications platforms. The ability to make your cell ring at the same time as your desk phone gives your team the opportunity to provide unparalleled customer service while also being more available to support each other. Laketec offers custom demonstrations at our facility in North Olmsted, OH or on the web at your convenience. Let us tailor a mobility solution that works for your team and customers. Instant Messaging & Presence – Contextual collaboration Instant messaging gives your team the ability to quickly and easily communicate via text whether they are on their PC, laptop, tablet, or on the road with their cell. This can be a substantial productivity booster when brief communication is all that’s required. It also provides a corporate level of control over access and archiving. Presence refers to an awareness of the current state of your co-workers availability based on their activity and calendar. Need to transfer a call to resource in another department and want to be sure your customer doesn’t end up in voicemail? Check the status of the individuals in the group and pass the call along to someone who you know is not on the phone or in a meeting. Give your operators the ability to immediately set expectations with a customer as to the availability of the person they’re trying to reach. Being able to see availability at a glance, and then to quickly communicate can be a productivity game changer for your organization. Unified Communications – Voicemail, Email, and Messaging in a single pane of glass Phone systems have evolved to become a fully integrated application of the IP network. A truly converged telephony system offers unparalleled opportunities to increase employee productivity and flexibility. These opportunities also bring challenges and the partner you select for your deployment and ongoing support is critical to the success of the project. At Laketec, we differentiate by being diligent on the discovery and design phases to ensure that we deploy a product that exceeds your expectations and has a long term strategy to fully leverage your investment. While there are thousands of available features that can be tailored to suit your needs, our most common customer requests include: Key Features Voice Instant Messaging Voicemail to email Conferencing Presence Video Mobile Apps Our team of Account Executives and Design Engineers take a collaborative approach to customizing your unified solution. Our live demos are two way conversations with the goal of building a project plan that is tailored to your business. Upon project completion, you can expect to hear from us quarterly with updates and optional software enhancements so your system can grow with you. Network – Intelligently designed networks focused on business outcomes Networking is the fastest growing business unit within Laketec. Our expanding team of highly certified Network Engineers are focused on providing Legendary Customer Service while designing, deploying, and maintaining our customers network infrastructure. Whether your organization has a one switch, or hundreds, we have the experience and in house, local, expertise to help you plan a road map for your network that will meet your business objectives. 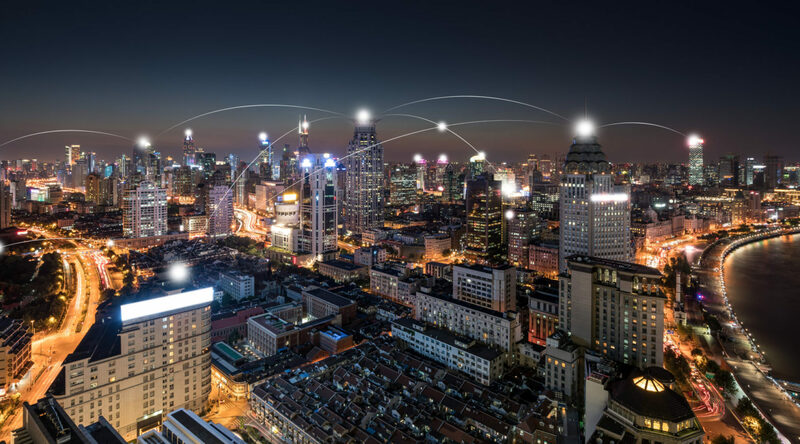 Thanks to our best of breed partnerships like HPE, Aruba, Palo Alto, and Arista, we are able to intelligently design networks that are fast, reliable, and secure. We offer tailored support agreements and fully managed networks so we can take care of the management components that you don’t want to. Security – Detect, identify, defend Network and endpoint security is a quickly growing concern for firms of all sizes and all industries; not just those with compliance requirements. Corporate hacking is on the rise and the targets are not only large enterprises. Today’s threats are focused on small and medium sized business as a result of their historically poor security profile. Regardless of the size of your organization, a data breech of any kind has the potential to put you out of business. Network security is not just about buying a firewall and taking a “set it and forget it” approach. Threats and vulnerabilities are evolving on a minute by minute basis and you need to be sure to invest in the right hardware to protect your data. However, the right hardware configured improperly is just as bad as not having the solution in place at all. You need a partner who understands how to design, deploy, and maintain a secure network. Vulnerabilities don’t just stop at the edge. Endpoint security is also a crucial component of a holistic design. Using best of breed products, Laketec will work with you to ensure you are achieving the level of security you’re seeking. Cabling – Accurately designed, artfully deployed Cabling is a necessary component of many technology projects. Reliable cable plant is the first layer to ensuring the success of the endpoints it’s connecting. Laketec has been installing cable since 1989. We differentiate our work by ensuring that the end result is something our customers are proud to show off. Whether our cabling is inspected in the middle of a data center, or hidden in a ceiling, rest assured that it’s been installed professionally from end to end. Laketec is fully certified to install both Hubbell and Leviton products and we are able to provide full documentation, testing, and warranty certification. If you have one cable drop for a new phone, or are opening a plant with thousands of runs, Laketec is equipped to ensure a clean, professional implementation. Contact us today for a site survey and free quote. Monitoring – Monitor, plan, anticipate Network monitoring is the first step towards being proactive about your IT support. You cannot manage what you do not measure. Laketec utilizes best of breed monitoring packages to keep us, and you, up to the minute on the status of your network. Any managed service provider will say they “monitor.” Monitoring without an action plan means you’re still being reactive and not gaining the full benefits of the deployment. What sets us apart is our proven on-boarding process we go through when we deploy monitoring solutions. What devices are your most critical? Who do we call if they go down at 3am? Who do we call if that person doesn’t answer? Investing the necessary time on the front end of a monitoring engagement is what makes it a success. While monitoring is in place, key performance indicators are constantly being aggregated, allowing us to deliver detailed reports on the health of your network. These reports, when interpreted properly, let you make intelligent decisions on the road map of your infrastructure. Cloud – Overview Public, private, or hybrid cloud? It’s all in the design and the Laketec team is here to work with you on an architecture that lives up to your business objectives, budget, and deployment strategy. Properly designed and deployed servers, storage, and virtual infrastructure can provide your organization with a host of advantages including less downtime, predictable costs, and rapid scalability. Our most common cloud deployments include Office 365, Server Virtualization, and storage upgrades. We also help our customers with multiple locations, or data center access, to design and implement disaster recovery solutions that they are already well positioned to leverage. Business Continuity – Overview Understanding the complexity and cost of a properly designed solution against the measured cost of downtime is an important thing to understand when pursing your DR plan. Is a 48 hour data recovery time sufficient for your business? Or do you need seamless fail-over to the point of not dropping a single call in a contact center when there’s a power outage? Once the business requirements, available technology, and budgets align, your customized business continuity strategy can be executed on. With the technology available, business continuity conversations are focusing on minutes and seconds, rather than hours and days. Should a part of your strategy include carrier services or data centers, we have partnered with best of breed providers to ensure that your needs are met. Don’t forget, Business Continuity planning is not something that goes in a binder on a shelf. It should vetted, tested, and updated as new technologies and offerings become available. Data Center – Intelligently Designed Infrastructure Whether you have a private data center at headquarters, a disaster recovery site, or leverage a local partner for data center services, Laketec is here to help incorporate your data center access into your production environment, business continuity and disaster recovery planning. Best of breed data centers offer a high level of flexibility, scalability and security that provide a myriad of advantages from a design perspective. Laketec does not offer data center services beyond consulting, design, and deployment within a customer owned data center or acquired service. We do partner with local, top tier, data centers and can incorporate them into your infrastructure design. Office 365 – Stay connected, everywhere One of the first applications our customers tend to move to the cloud is Exchange. With Office 365, you have the opportunity to provide your users with the latest Office software including Exchange from any of their devices for a monthly, per user, fee. Layer on a variety of other applications through Microsoft based on need. Take advantage of OneDrive for unprecedented levels of document sharing, collaboration, and cloud storage. This solution scales with you and eliminates unpredictable support, licensing, and hardware costs. Easily add and remove users and applications as your needs change. The latest versions of all software are always immediately available to all users. Laketec differentiates itself on Office 365 deployments through our migration process. The cloud is a great place to be, but getting there is not always a seamless process. Our migration team will take the time to review your current settings, storage needs, and policies before initiating the migration. The up front planning phase is what makes the full migration an inevitable success. Storage – Scale, Performance, Investment Protection Storage is a critical component of your network infrastructure and cloud strategy and you need a partner who understands how to design beyond bits and bites and focus on the goals of your organization. With solid state, flash architectures there are many opportunities to shrink the footprint of your storage solution while providing faster access to your company data. Laketec’s Engineering team is highly trained and certified on best of breed storage products and are ready to help you design, deploy, and support your storage strategy. Moving to a hybrid or public cloud model? We can help you develop a strategic road map for a successful transition. Virtualization – Scalability, flexibility, investment protection Laketec has highly trained and certified Engineers with the necessary experience to make your next virtualization project a success. We pride ourselves on learning your business objectives, existing environment, and staff expertise before we begin the design phase. Armed with this understanding, we are able to take a more holistic view of your network and help you lay out a plan that can be accomplished on time, and on budget. Virtualization is becoming a growing component of your cloud infrastructure strategy. Many of our customers today are on a road map migrating over time from a fully deployed, on site, virtual infrastructure towards a public cloud strategy. Most are taking a hybrid approach and outsourcing applications and servers as time, budget, and connectivity allow. Whether you’re virtualizing a single application, or an entire server farm, Laketec is here to help you design, implement, and support your infrastructure. Project Management – Efficient planning ensures successful deployments Laketec considers a project to be any customer engagement requiring multiple site visits to accomplish defined milestones over a period of time. Examples include a phone system upgrade, a campus-wide wireless deployment, a server migration, or a variety of other engagements. You will be assigned a Project Manager to act as a single point of contact throughout the completion of the project. It is our Project Managers responsibility to coordinate resources internally and communicate progress updates and manage expectations with the customer. Key benefits of strong Project Management Improved Customer Satisfaction as a result of clear expectations Reduced down time Reduced labor hours required to complete a project Improved future support as a result of clear documentation Standardization of deployment methodology Project Management is what bridges the gap between sales and service. A clean hand off with well communicated expectations is critical to ensuring the success of the customer engagement and it’s an area we focus on heavily. We look forward to working with your organization on your upcoming technology projects. Support – Custom Support Agreements, Tailored to Your Needs There is no shortage of technology vendors and customers have their choice of who they work with. We believe there are a number of things that set us apart, but above all, our ability to put customer service ahead of all else when providing support is a key component that has helped us build our reputation. Strategic support is critical because to help you realize the long term benefits of our solutions, we can’t just drop off a box and hope for the best. Our goal is to assist you in the deployment, and long-term support of these solutions. We are not a transaction oriented company, but we’re also not a one-size fits all kind of company. We’re easy to do business with and we offer a boutique style of support that allows us to provide customized options to meet your needs. Support engagements with Laketec come in a variety of shapes and sizes to ensure we are as aligned as possible with your objectives. From break/fix, to a discounted block of hours, to fully managed services and networks; we are ready to tailor the right support agreement for you. Training – We teach technology Laketec Service Coordinator Sarah Abfall hosts a training class for Laurel Lake residents. At Laketec, every person in the company shares a passion for technology. Sharing that passion often manifests itself in formalized training classes for our customers. Once we complete a project for our customer, we take pride in ensuring that the end users and administrators are as self sufficient as they want to be. We offer end user training as well as admin training depending on the system and technology deployed. Need a certification? We can we place you with one of our training partners to ensure you’re ready for the test. We also host quarterly events including lunch and learns, technical briefings, and webinars. We hope to see you at one of our upcoming events soon! Avaya – 90% of the Fortune 100 trust Avaya Avaya has been a leader in the communication space for decades. Born out of Bell Labs, Avaya holds over 4,000 patents and continues to lead the industry in research and development, particularly in the areas of Unified Communications and Contact Center. After the acquisition of Nortel Networks, Avaya became a major player in the networking space as well. Laketec installed and still maintains the largest Avaya Networking deployment in northeast Ohio. Laketec has been partnered with Avaya since its inception, and even before when it was Lucent. As VOIP has grown and matured, so has our expertise and design capacity. Today, Laketec is the largest brick and mortar Avaya dealer in Cleveland. With hundreds of successful implementations to reference across all of the Avaya portfolio, we are the right partner to help ensure that you’re getting the most out of your Avaya investment. Arista Networks – Software Driven Cloud Networking Arista Networks was founded to pioneer and deliver software-driven cloud networking solutions for large data center storage and computing environments. Arista’s award-winning platforms, ranging in Ethernet speeds from 10 to 100 gigabits per second, redefine scalability, agility and resilience. Arista has shipped more than 10 million cloud networking ports worldwide with CloudVision and EOS, an advanced network operating system. Committed to open standards, Arista is a founding member of the 25/50GbE consortium. Arista Networks products are available worldwide directly and through partners. Learn More from Arista. Laketec has been an Arista partner since 2015. Our team is highly certified on the product set and it fits perfectly with our philosophy of only bringing best of breed products to our customers. Our customers appreciate that the learning curve in going from a Cisco solution to Arista is nearly flat. Their internal Engineers are able to run with the deployment of new hardware immediately and it requires little to no training to get up to speed. Arista as been quickly climbing the Gartner reports and rightfully so. Click here to view Gartner’s assessment. Barracuda – Secure, Simple, Reliable Barracuda Networks, Inc. offers industry-leading solutions designed to solve mainstream IT problems – efficiently and cost effectively – while maintaining a level of customer support and satisfaction second to none. Our products span three distinct markets, including: 1) content security, 2) networking and application delivery and 3) data storage, protection and disaster recovery. While we maintain a strong heritage in email and web security appliances, our award-winning portfolio includes more than a dozen purpose-built solutions that support literally every aspect of the network – providing organizations of all sizes with true end-to-end protection that can be deployed in hardware, virtual, cloud and mixed form factors. Laketec leverages Barracuda products primarily for on/off site backups, and content filtering including web and email. Dell – Listen. Learn. Deliver. That’s what we’re about. Dell empowers countries, communities, customers and people everywhere to use technology to realize their dreams. Customers trust us to deliver technology solutions that help them do and achieve more, whether they’re at home, work, school or anywhere in their world. Learn more about our story, purpose and people behind our customer-centric approach. Laketec leverages Dell for end user PC’s and also for server/storage products to support virtualization deployments depending on our customer requirements and preferences. 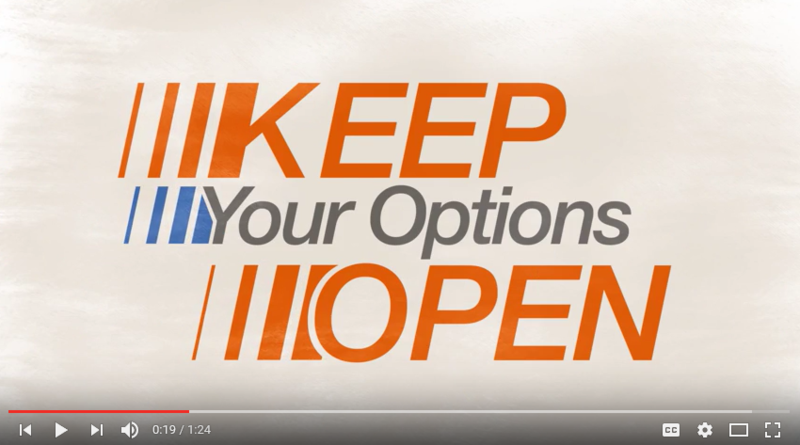 Palo Alto Networks – Next Generation Security The Palo Alto Networks Next-Generation Security Platform protects our digital way of life by safely enabling applications and preventing known and unknown threats across the network, cloud, and endpoints. The native integration of the platform delivers a prevention architecture that can provide superior security at lower total cost of ownership. The security of your network is something we take seriously at Laketec. The Palo Alto partnership was a natural one because they fit in with our philosophy of representing only best of breed, visionary products. Palo Alto represents the next generation in network security and our customers have been realizing the benefits of this product since our partnership began in 2014. One of the key benefits for Laketec is how well this platform inter-operates with other partners we represent. 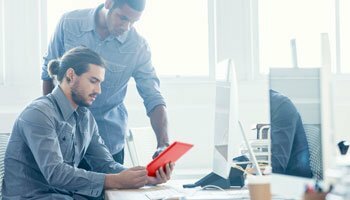 Combing PA with complimentary products like Aruba, HPE, and Arista provides unparalleled visibility and security which is making our customers more efficient and more secure. Status Solutions – Situational Awareness Status Solutions develops situational awareness technologies for life safety, security, environmental monitoring and mass notification. Our software solutions deliver real-time, detailed information to help organizations prevent ignorance-based loss and transform business operations. We customize each solution to meet customer needs and work within existing technology infrastructures. By centrally managing information and then delivering it to various portals and dashboards, our solutions help you better manage risk and protect people, property, business and convenience/comfort. Laketec chose to partner with Status Solutions in 2013 because of the natural fit in our portfolio of products. Our customers in the senior living, education, and manufacturing industries were already leveraging this, or similar, products in their daily operations. The ability to integrate multiple best of breed technology platforms into a single solution, managed in a single pane of glass, is a perfect fit with the Laketec network design philosophy. Veeam – Today’s rapid pace of technological innovation is forcing digital and physical worlds to collide – and it’s also transforming the way organizations operate in every industry. This digital transformation can either make or break your business. Because, in the digital world, customers expect 24.7.365 Availability. For today’s enterprises, this means that expectations for SLAs for data and application uptime can be revolutionized. No longer do businesses need to think in hours or days – they can think in minutes or seconds instead – for all applications, data, and workloads. VMware – VMware, a global leader in cloud infrastructure and digital workspace technology, accelerates digital transformation by enabling unprecedented freedom and flexibility in how our customers build and evolve IT environments. With VMware solutions, organizations are improving business agility by modernizing data centers and integrating public clouds, driving innovation with modern apps, creating exceptional experiences by empowering the digital workspace, and safeguarding customer trust by transforming security. VMware is a member of the Dell Technologies family of businesses. Laketec has highly trained and certified Engineers with the necessary experience to make your next virtualization project a success. We pride ourselves on learning your business objectives, existing environment, and staff expertise before we begin the design phase. Armed with this understanding, we are able to take a more holistic view of your network and help you lay out a plan that can be accomplished on time, and on budget. Whether you’re virtualization a single application, or an entire server farm, Laketec is here to help you design, implement, and support your infrastructure. Phone systems have evolved to become a fully integrated application of the IP network. A truly converged telephony system offers unparalleled opportunities to increase employee productivity and flexibility. These opportunities also bring challenges and the partner you select for your deployment and ongoing support is critical to the success of the project. At Laketec, we differentiate by being diligent on the discovery and design phases to ensure that we deploy a product that exceeds your expectations and has a long term strategy to fully leverage your investment. Unified Communications seamlessly connects everyone in your workforce to each other and to customers, suppliers, partners—everyone internal and external who keeps your business moving. From software to platforms to phones, Avaya helps you make connections easier, so you can increase productivity—and feed growth and profitability. Delivering a high-performance contact center depends on your ability to leverage intelligent insights across your enterprise. 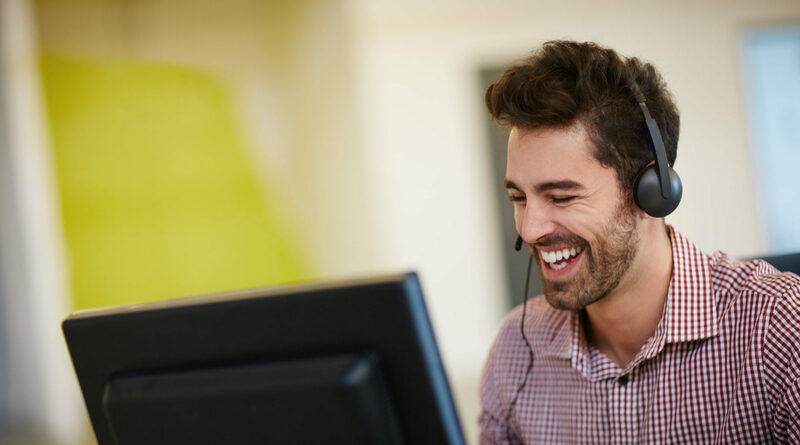 From your contact center to your back office, use the information to make better decisions faster, identify and resolve customer dissatisfaction, fix broken or cumbersome processes, train and coach agents, and improve communication. Your communications platform can be deployed at your location, in the cloud, or a hybrid of the two. All hosted offerings are not created equally though. Let Laketec help you make the right decision for your business by stepping through our discovery process. Every business is unique and as such, phone systems much be designed built to suit. 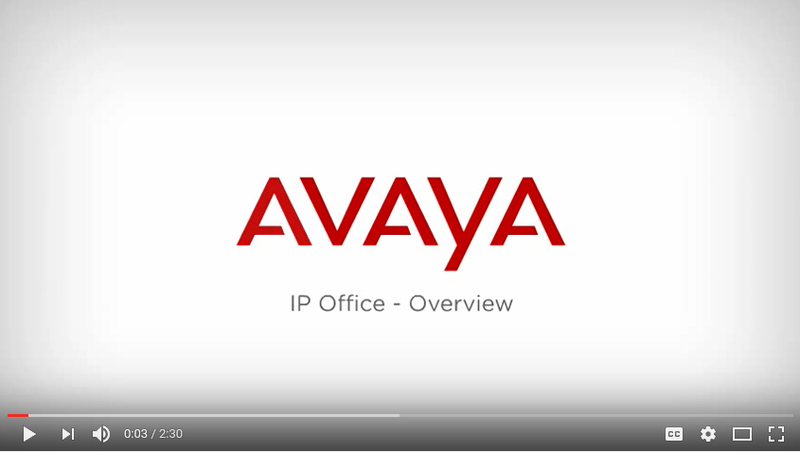 For the small to mid sized company looking to professionalize their communication systems, the Avaya IP Office is the “Swiss Army Knife” of phone systems offering unparalleled flexibility and feature sets. 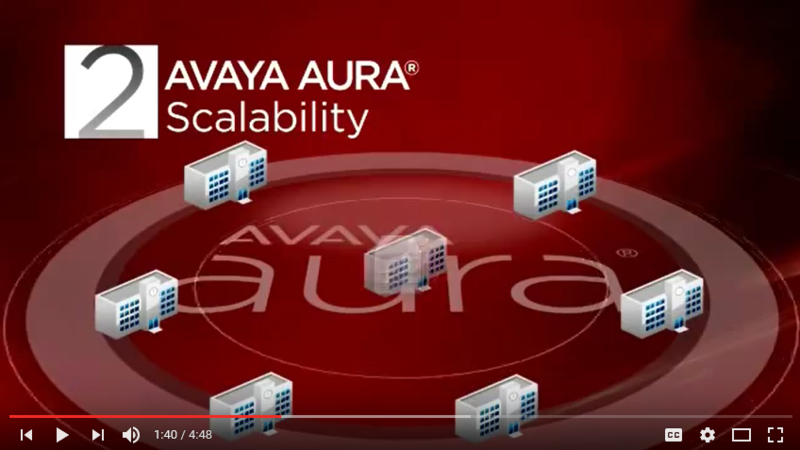 Avaya is the undisputed leader of fortune 500 voice deployments. Find out why. Description: ShoreTel and Laketec are a winning combination for the mid market company looking for flexibility and simplicity. Phone system deployments are the foundation upon which Laketec was built. It was our one and only offering until 2007 when we began to evolve into a full service IT provider. As we built our reputation within the industry, we also built out a world class process for servicing customers which seamlessly translates to IT support. Voice systems still represent a significant component of our core business. Laketec has been here at MLCL doing the install to our new system. You work with some great people (but, of course, you probably already know that). Dale, Dan and Rick have been at the beckon call of some very high maintenance people and I have heard nothing but positive feedback. McCarthy, Lebit, Crystal & Liffman Co. The customer was most impressed with the professionalism of the technical staff, the quality of the work, and the smooth and quick transition to a new phone system and wireless solution with virtually no interruption to their business. We don’t do it all on our own. See our network of valued partners. Contact us today for a free consultation and to learn how to take the first step towards transforming your IT service and support. We look forward to hearing from you today! Today there is no shortage of technology vendors, but we are not all created equally. Our core values, combined with our best of breed technology portfolio, design capabilities, and strategic support clearly set us apart from the competition. We build lasting relationships with our customers rooted in trust and grown by performance.